Facebook launched M last week which lets you complete a variety of tasks, from finding information to making reservations, by messaging the assistant over Facebook Messenger. As Facebook’s David Marcus explains in his post, M sits between completely automated AI run services like Now and Siri and completely manual services like Magic, which lets it be a more useful than the former and more scalable than the latter. As Amazon found with Mechanical Turk, while the promise of AI is fantastic, humans are still pretty good at solving problems till that promise is realized. But more than the functionality, the thing that struck me most was how simple messaging was almost the perfect interface to a lot of services, compared to the beautifully crafted app screens that so many of us spend so much time and money to develop. Mobile platforms today have well defined design and interaction guidelines and app designers are left with the challenge of playing well within the guidelines but also come up with signature design and interaction elements that users like enough to choose that app over the flood of competitors. And as these become more elaborate, the cost of developing these apps keeps climbing even as people’s excitement about apps seems to be falling. 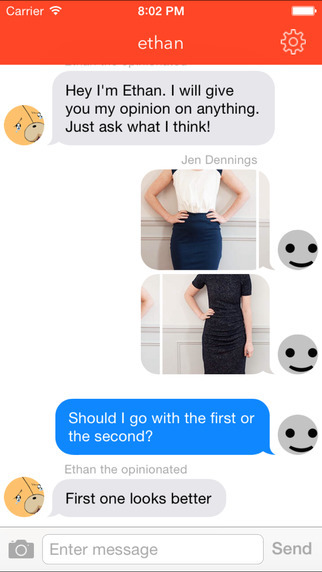 Could the simple UI of messaging apps make a lot of that effort irrelevant? Ethan was one of the first viral apps that allowed anyone to ask Ethan, just a random developer, any question and he would respond back. I have already mentioned Magic is another interesting startup that lets you order anything at all by just sending them a message. 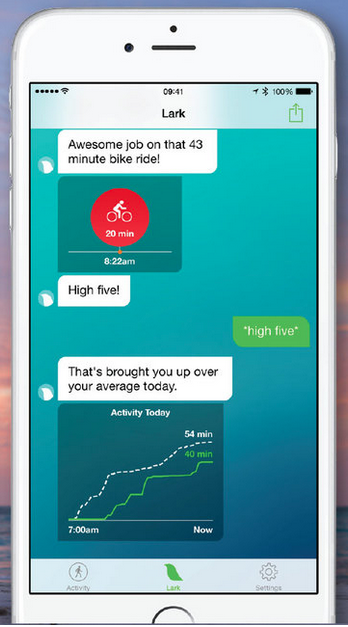 Lark is a fitness app that uses messaging interface and only allowing canned responses to allow you to track fitness metrics and log data like food intake. Penny app has the same idea as Lark but is dedicated to the personal finance domain. Messaging UI also translates really well to non visual experiences, like apps for Amazon Echo. Its surprising that right now none of the mobile platforms let you extend the core messaging services that come packed with the OS (Hangouts or iMessage). Facebook Messenger released its API this year though and it’ll be interesting to see what kind of services start to appear on top of it.